An inspiring weekend can make all the difference to your creative biorhythms, and I’m pleased to report that last weekend was one of them. Maybe it’s the psychological glut caused by competitions like Nanowrimo (to say nothing of Movember) and its awkward position as the penultimate month of the year, but this November in particular felt a bit strange to me. I was less and less keen to go out – preferring to stay indoors and – supposedly – tinker away at various creative projects (being human beings yourselves, I’m pretty sure you can tell how this ended up most of the time). So I began to hope that the end of November would prove to be something of a release, and that December would make for a nice fresh start. 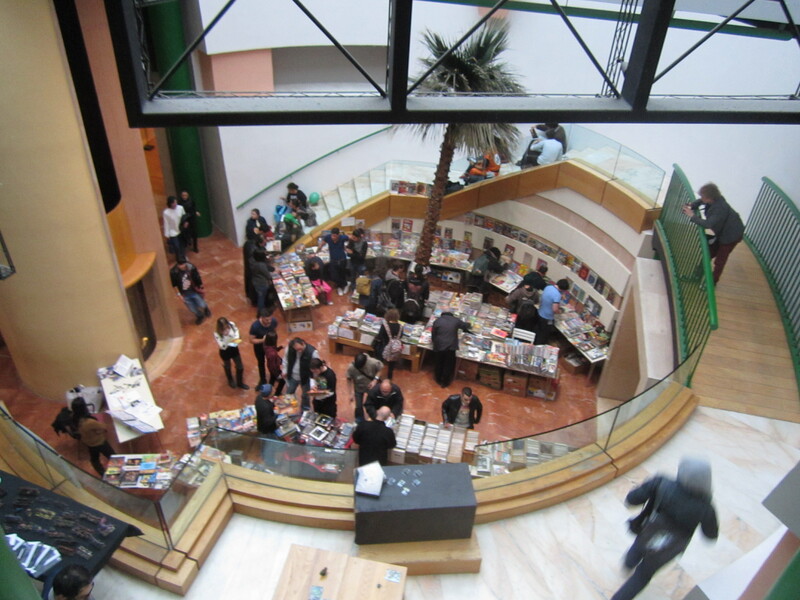 With the Malta Comic Con in town over November 30 and December 1, it seemed like a fair enough assumption to make, and I’m glad I was proven right. The ‘Con, having been around since 2009, has been growing in reputation and quality with each passing year, and I certainly felt this year’s edition was an ‘upgrade’. Not just because big-name creators were once again in attendance – The Walking Dead’s Charlie Adlard, Game of Thrones storyboard artist William Simpson and ‘Lucifer’ writer Mike Carey being just a small fraction of them – but also because the attendees appeared to be as enthusiastic about the experience as the organisers. It’s a motley gathering, as any ‘Con should be, I think: there’s those who come to tastefully sample the wares on display and those who make a beeline to the venue, foaming at the mouth because they’ll get to share breathing space with some of their favourite creators. 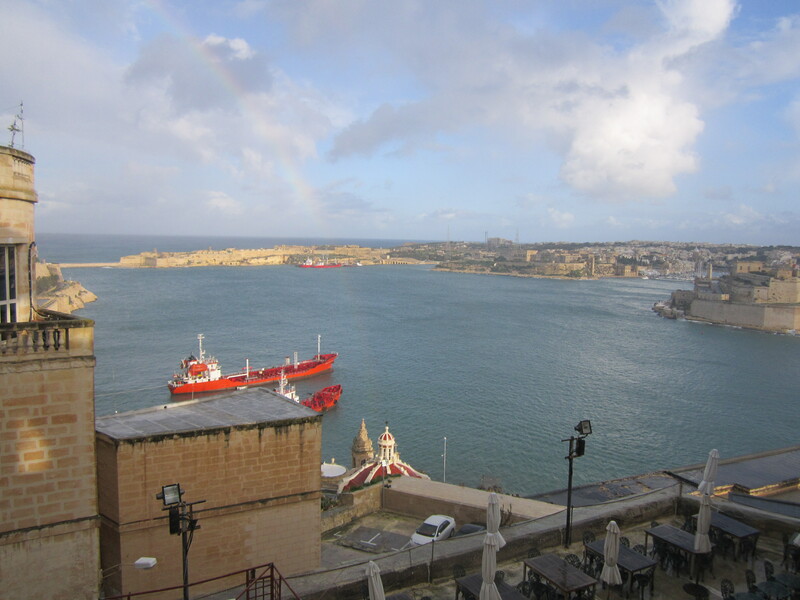 Also, rain in Malta often means… rainbow! Cosplay, previously something of a halting sight at this particular ‘Con, was very well represented this year: I was often intimidated by stampeding groups of anime-inspired characters, while other costumes were so well-crafted that they came close to resembling the ‘real thing’ (be that Batman antagonist Bane or Jack Sparrow… and yes, I realise that ‘real thing’ may be a poor choice of words here). There was a healthy mixture of ages and social groups among the attendees too – a polar opposite to the cliqueish exhibition culture that often asserts itself at other art events – often at the very same venue where the ‘Con itself was held (Valletta’s St James Cavalier). But the difference is not just down to the attendees. Crazy artists (Widdershins, left) and their editors (myself, right) were also present. Comic book fandom, by its very nature, foments a completely unpretentious appreciation of art. Instead of self-conscious fawning, you get entirely unselfconscious gushing. But there were quiet moments amidst the madness too, and I was lucky enough to sit in for one of them. Giving a reading of his upcoming novel The Girl With All The Gifts, Mike Carey also took time to answer questions from the intimate group that had gathered at St James’ Music Room for the occasion. The genre-hopping British writer spoke, among other things, about the differences between prose fiction and writing for serialised comic books, and something he said resonated with me due to a kinda-secret project I’m working on at the moment. Speaking about the way comics are structured as stories, Carey said that “you can’t do it scene by scene”. That mulling over period is essential when it comes to planning a sustained piece of fiction – more so when it’s a more dramatically ‘tactile’ thing – when it’s a story delivered in conjunction with a visual element, like a comic book, a film or a play. It’s something I’ve rather enjoyed doing over the past day, aided by a purchase from yet another inspiring event held in tandem with the ‘Con – Patches Market. The notebook shown below – courtesy of the ever-brilliant, ever-meticulous Sarah of The Secret Rose – has been serving as a repository of notes, ideas and in-character psychological rationalisation towards a project that will only be coming into full fruition next year. This entry was tagged art, artisan fair, comic con, comics, exhibition, illustration, Malta Comic Con, Mike Carey, patches market, St James Cavalier, writing. Bookmark the permalink. 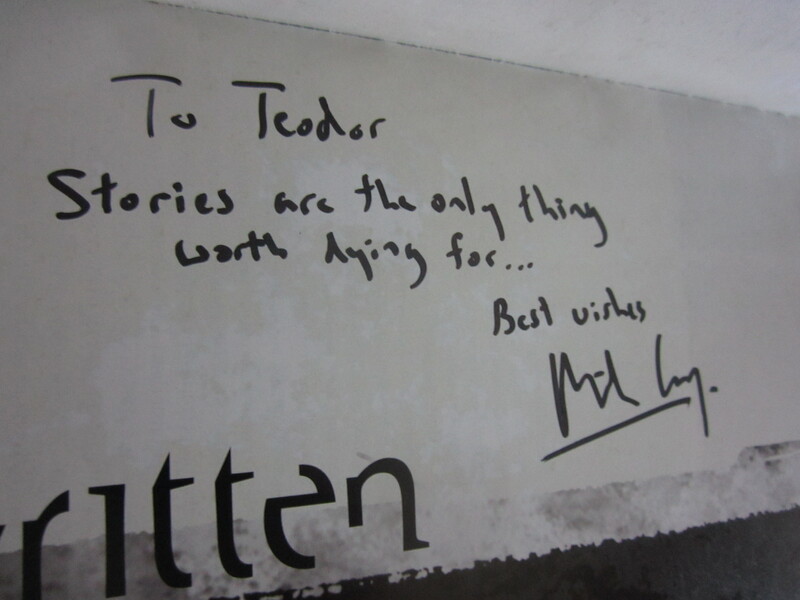 Being a Mike Carey book fan, especially of the Felix Castor stories and the Lucifer comics, I appreciate your words about the author. 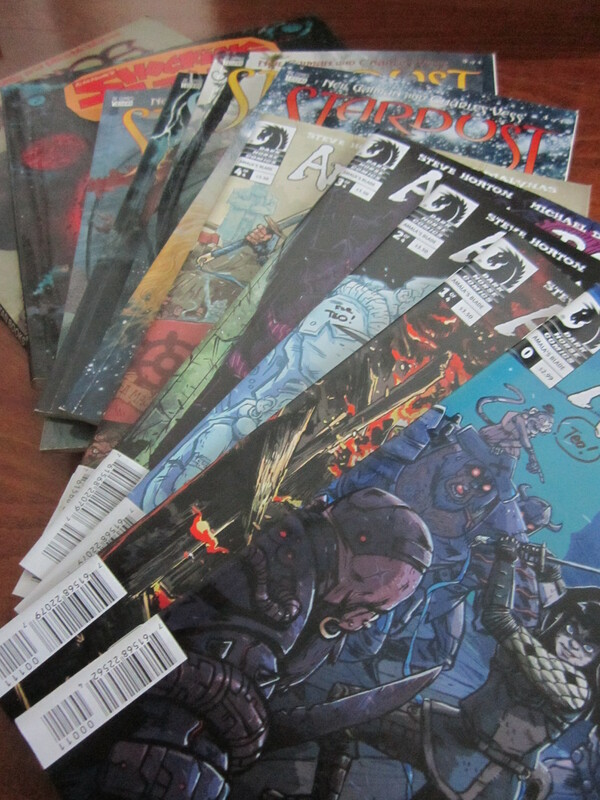 Mr. Carey signed all my books and comics, and struck me as a singularly unpretentious nice guy. For me, it was the highlight of a comic-con that held so many attractions.